What do you mean by individual recording times? 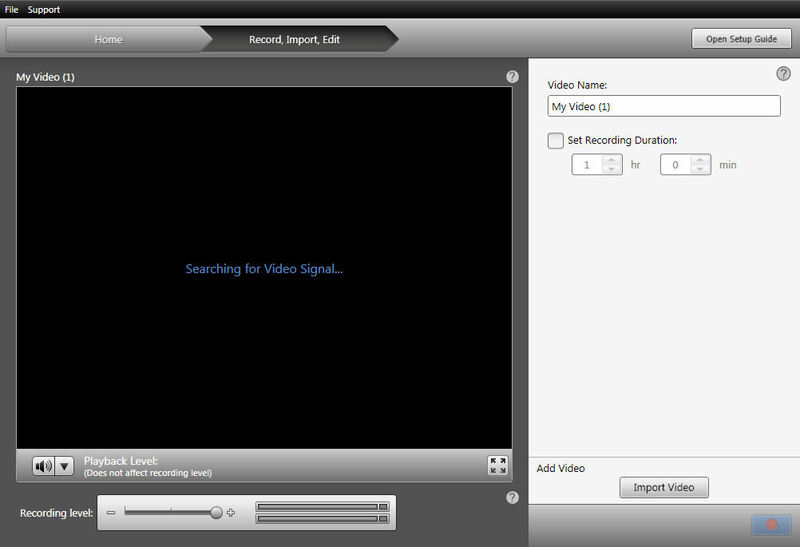 You can record ONE file at a time using the Recording Duration. But you must have a Valid Signal before you can click the Check box and set a time. This is in the Record - Edit - Save part of the program but the same principle applies to the Record DVD part. No signal - no check box. Just so you know, almost no one uses the Record DVD part One little glitch and you trash a Disc.